By 1818 a manor house called Brookfield, the estate of the Denison family, stood at the northwest corner of present-day Queen and Ossington, where the Canadian film director Atom Egoyan opened Camera, a screening room and bar, 186 years later. Directly south, the Provincial Lunatic Asylum was opened in 1850 on the current site of the Center for Addiction and Mental Health. The OCA has submitted a Heritage Conservation District nomination form for the proposed Ossington Strip district. 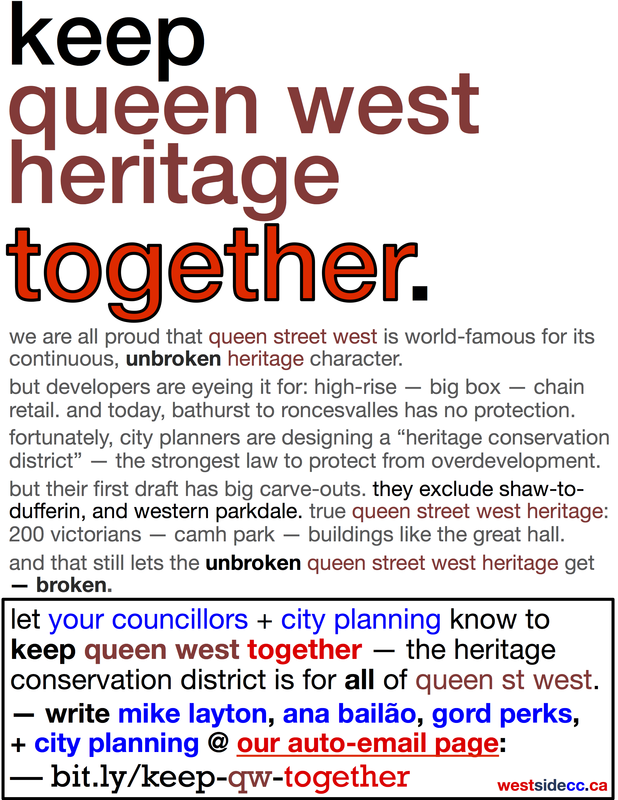 HCD status is the ultimate in preservation, enjoyed by Queen West (University to Bathurst) and Yorkville as well as a number of neighbourhoods (including Harbord Village, Riverdale, and, who would have anticipated, Rosedale). 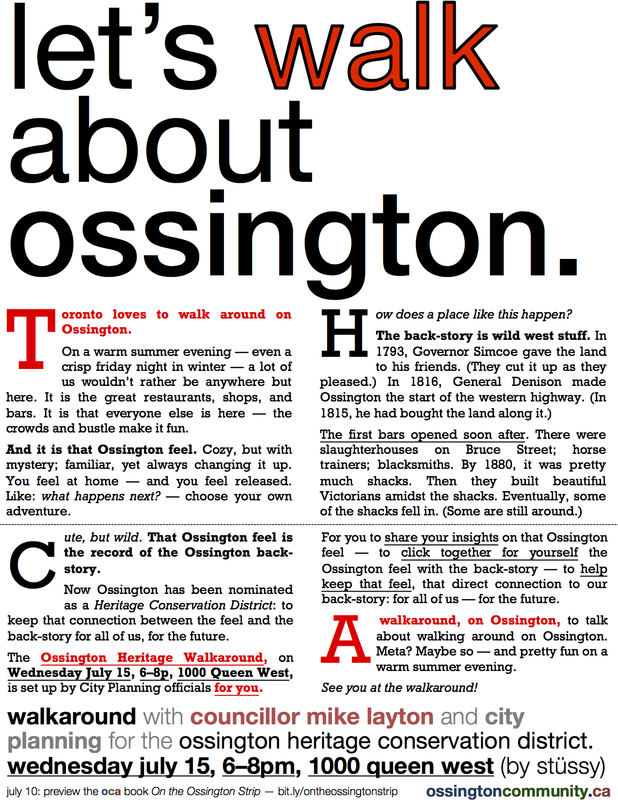 We believe that Ossington is truly one of the most wonderfully distinctive places in Toronto, and that people know this, which is why it is such a great success as a destination district.